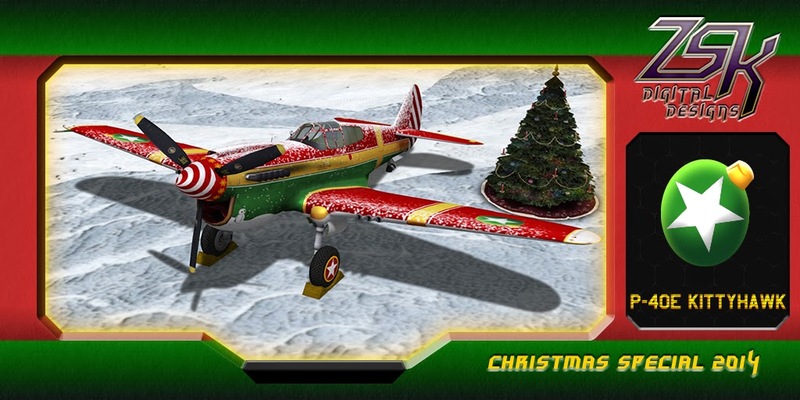 Following the release of our P-51 Christmas paint, we're now offering a special P-40E Christmas paint pot. You can get a FREE copy of this paint under the Christmas Tree at our Main store, located at Wright Bros. Regional airfield.